As the only airport in the area offering regular flights from and to Perth, Broome and Darwin, Kununurra Airport is truly the gateway to the East Kimberley region. And, when Kununurra’s roads are cut off from essential outside services and deliveries during heavy wet season, the airport is even more crucial to the community. 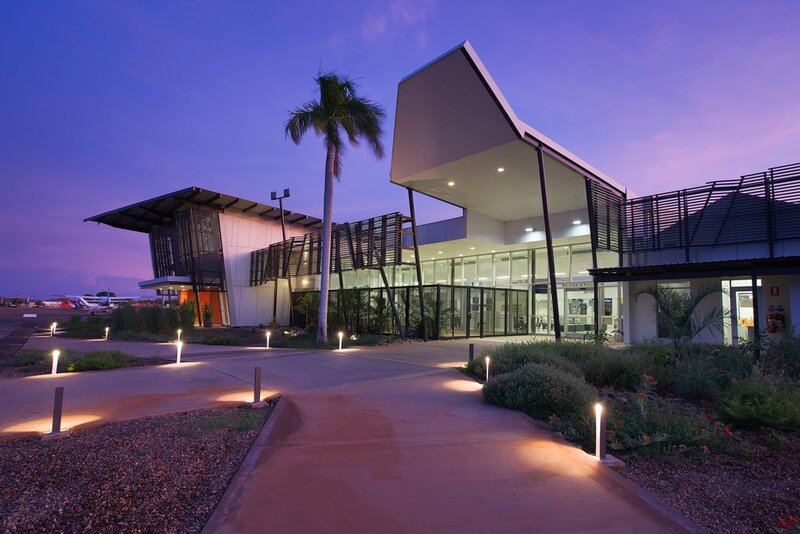 So, in order to keep up with local and tourist demand, we worked with the Shire of Wyndham-East Kimberley to expand and modernise the airport complex. The design was guided by the needs of the Shire, national control and regulation bodies, hire car companies and café owners, and of course, the passengers. Through expansion and renovation, the size of the facility was effectively doubled, and now includes a dedicated arrivals hall with baggage carousel, a larger check-in area and departure lounge, and improved security to meet then new regulations. Construction was completed at the end of 2011, and the airport now caters for simultaneous departures and arrivals, and international charter flights. It was essential that the East Kimberly Airport remain operational during the build, so we designed and completed the project through a phased construction process.